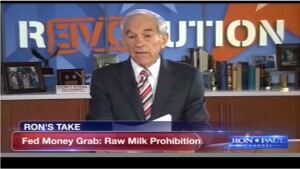 "If anybody believes in liberty, they ought to believe in the right of every individual to drink raw milk," C4L Chairman Ron Paul said in this free segment from the Ron Paul Channel. He was discussing a Politico article about two new bills sponsored by Rep. Thomas Massie (KY-4), which Campaign for Liberty supports, the "Milk Freedom Act of 2014," H.R. 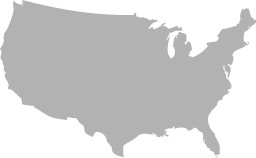 4307, and the "Interstate Milk Freedom Act of 2014," H.R. 4308. In the segment, Dr. Paul mentions how when he was in Congress and sponsored legislation very similar to H.R. 4307, he was surprised to find he had a difficult time building support for the issue from representatives who worked with him on legalizing marijuana. For many, though they supported marijuana reform, they still believed that raw milk was dangerous and the government needed to protect you from it. Dr. Paul goes into the idea of the government trying to protect you from yourself, asking, is it government bureaucrats who should be responsible for teaching us safety, or individuals and parents? Most safety is taught by our parents when we are children, and as Dr. Paul mentions, thank goodness there isn't a government agent in our house to do so! Individuals sometimes do take risk, which may lead to an adverse outcome for that individual and their close friends and family. But when bureaucrats take on risk, the adverse impact comes on a much larger scale. "What goes into our body should be our choice, our decision," said Dr. Paul. Freedom, it does the body good.